Before fans were able to connect with their favorite musicians through social media, their only chance was to go see them perform and hope to get a glimpse before or after the show. 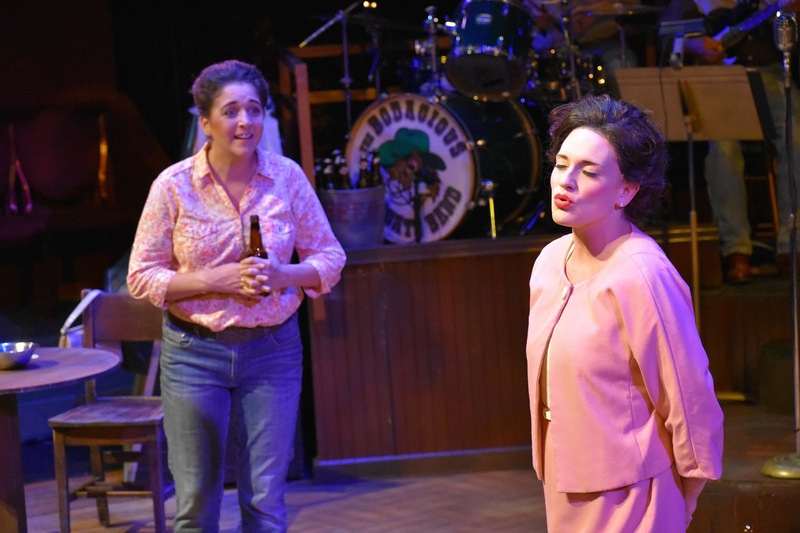 In Houston in 1961, a woman named Louise had just such a lucky encounter with her favorite singer, Patsy Cline. Louise tells us her story, speaking directly to the audience. She met Patsy before a concert and they became fast friends, staying up all night talking, and writing letters back and forth until her death two years later. The show doesn't dwell on the tragedy of her death, but rather the joy she brought to her fans, and one fan in particular. 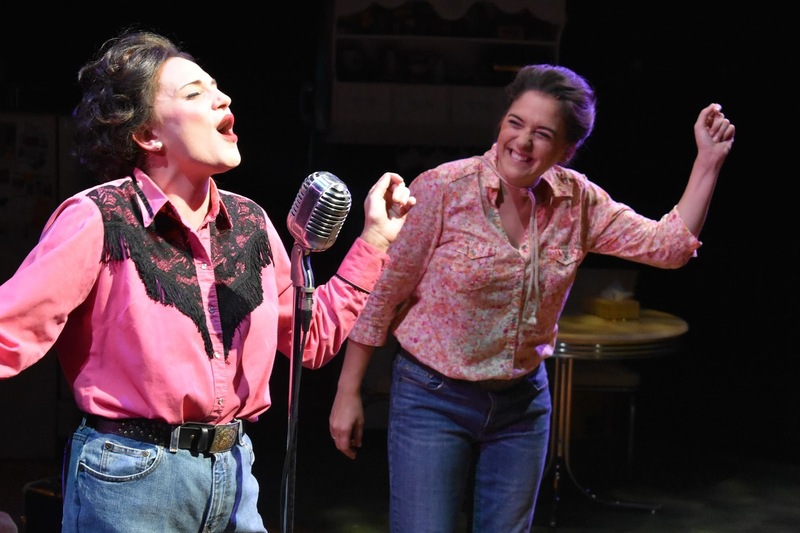 All of your favorite Patsy Cline songs are included in the show, including "Crazy," "She's Got You," "I Fall to Pieces," and "Walkin' After Midnight," to name but a few of the over 20 performed. Gracie Anderson returns from last year as Patsy. She has a voice that's perfectly suited to these songs, and sounds effortlessly gorgeous. It's such a treat to hear these beloved songs brought to life with a voice that sounds familiar and comforting. New to the show this year is Kate Beahen as Louise, who is a wonderful host on this journey through the lives and friendship of Patsy and Louise. It feels like we've been invited into Louise's homey kitchen as she speaks directly to the audience with a wink, a nod, and an ad lib or two, even walking into the audience and chatting with folks. Kate is great fun to watch, especially as she watches Patsy, expressing Louise's love and admiration for her friend and her music. Gracie and Kate really bring the warmth and closeness of this special friendship to life. I love an onstage band, especially when they're part of the show and get to add little bits and quips here and there, as "The Bodacious Bobs" do, under the musical direction of Louis Berg-Arnold on the piano. The band sounds great on these honky tonk, swing, and pop country song. They're seated on a bandstand on the left of the stage, with a tiny round stage and old fashioned mic for Patsy, while on the right of the stage is Louise's kitchen, complete with vintage appliances. Patsy is dressed in an array of sharp early '60s dresses and suits that show her as more of a glamorous singer than a cowgirl (scenic design by Brian Proball and costume design by Samantha Kuhn Staneart, who also plays the fiddle in the band). At its heart this is a story of friendship between two women. Two women who had seemingly very different lives, one a star singer traveling all over the country, the other a single mother living in Texas, but who connected on a human level when fate put them in each others' paths. 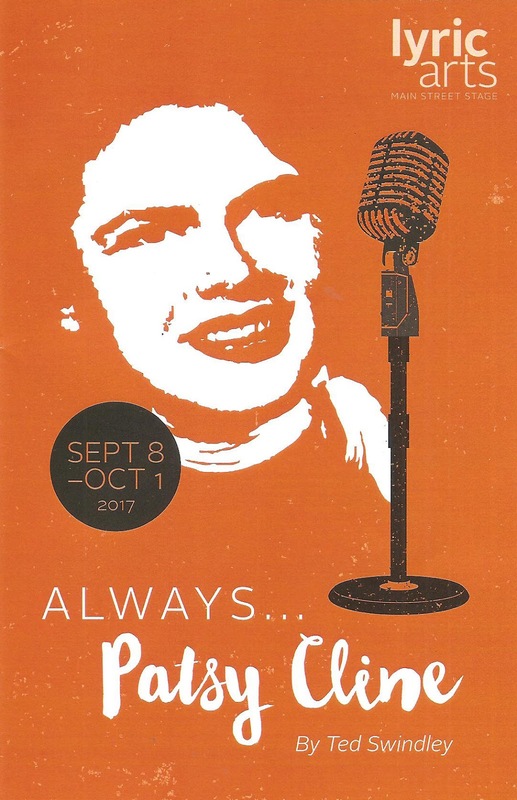 It's really a wonderful way to share not just the music of Patsy Cline, but the warm, friendly, down to earth person that she was. Always... Patsy Cline continues through October 1 at the Main Street stage in downtown Anoka. Highly recommended if you love country music, stories of strong and independent women, or heart-warming tales of friendship. *Much of this post is borrowed from what I wrote about last year's production.